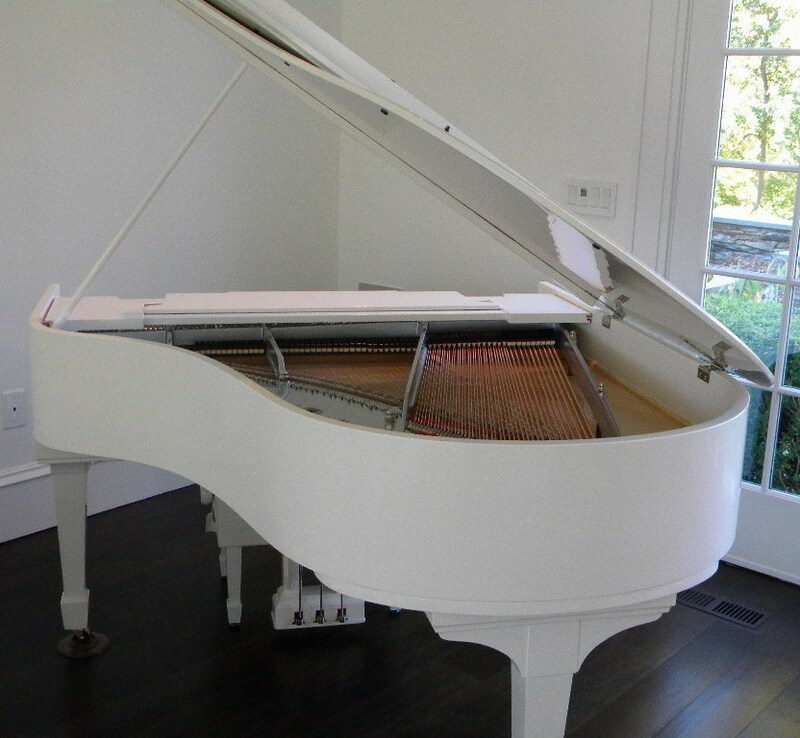 These pictures show a Steinway M which was custom restored for a client in the style of the famous John Lennon white Steinway grand piano. 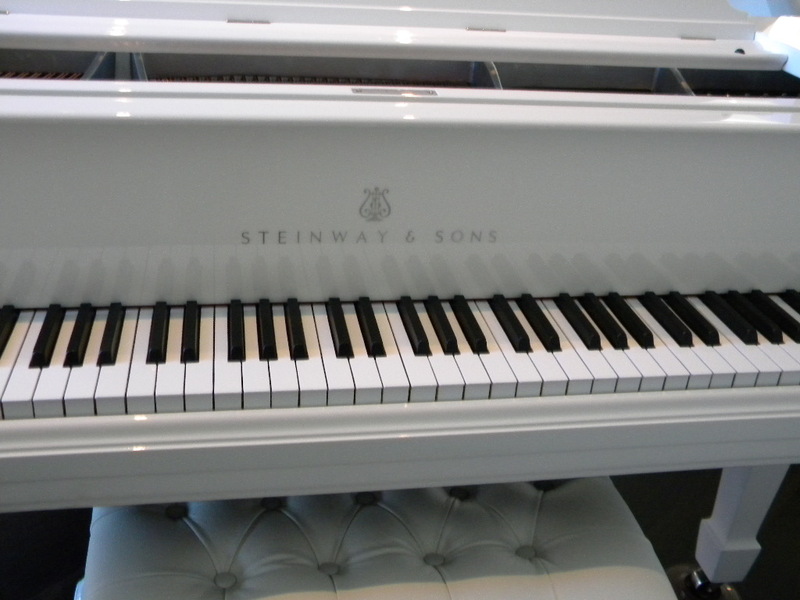 The piano was finished in a specially formulated high polish white to match as closely as possible John Lennon’s original design. The cast iron plate was finished in a silver color which replicated Lennon’s piano. 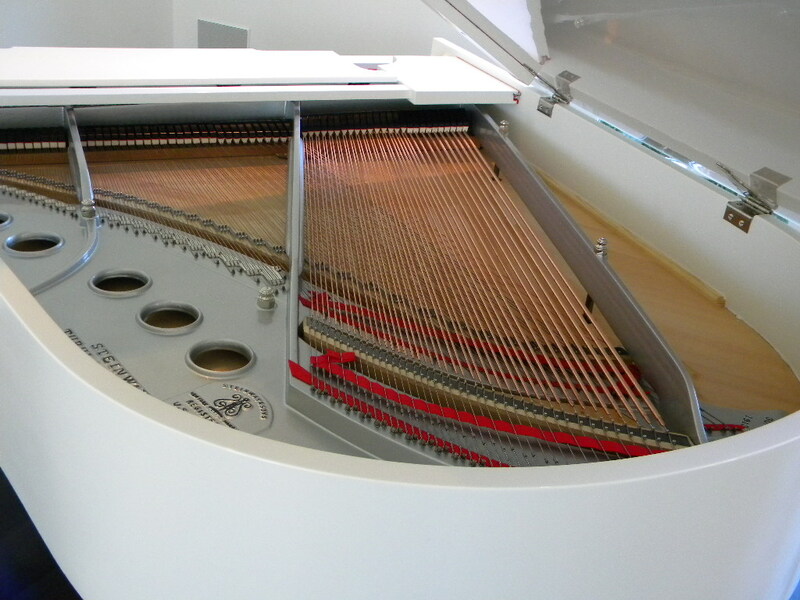 The rest of the piano was restored with Steinway parts. 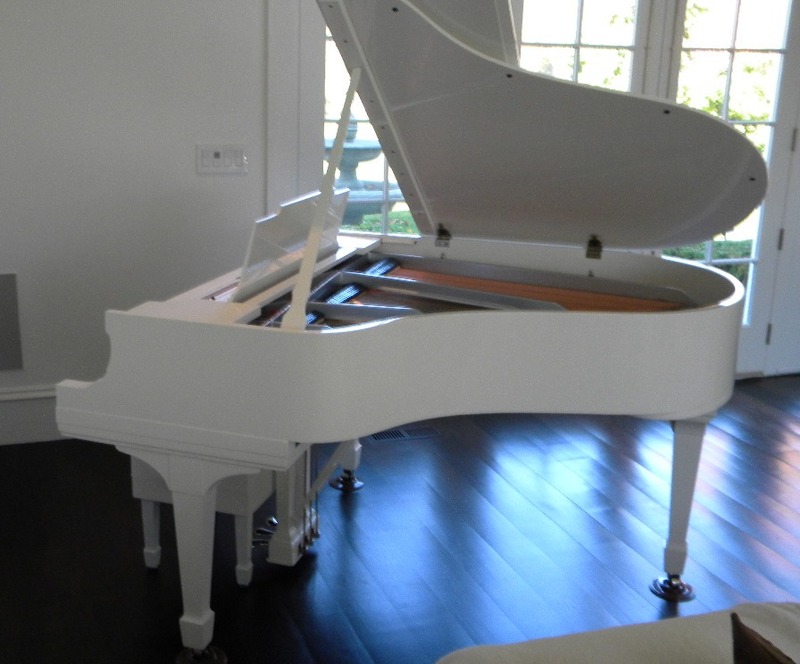 The result was a piano that was very satisfying to the client, as well as the staff of Craftsman Piano Co. 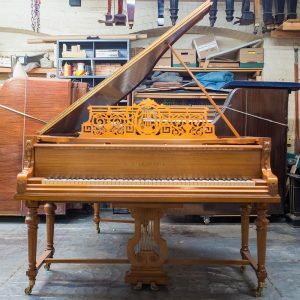 This blog post demonstrates the ability and willingness of Craftsman Piano Co.to take on unusual and difficult piano restorations. 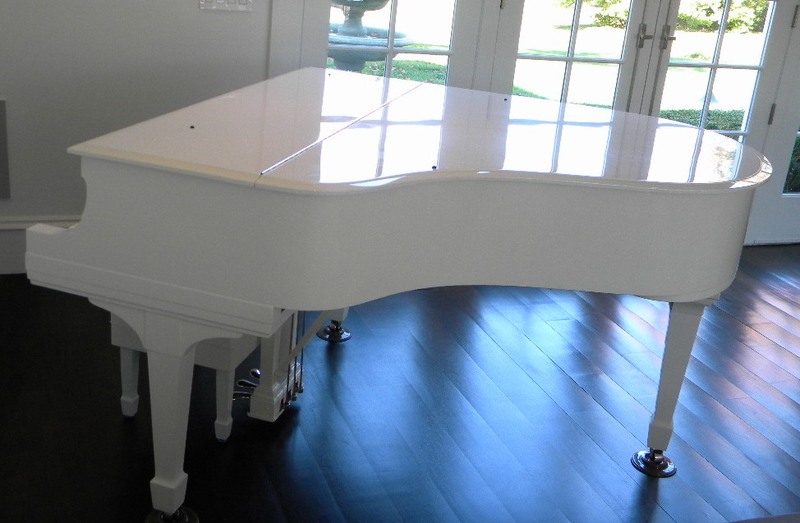 We take great pleasure in making wonderful pianos. If we are approached with a difficult project, we regard that project as a challenge to be met in a satisfying and artistic manner both visually and musically.